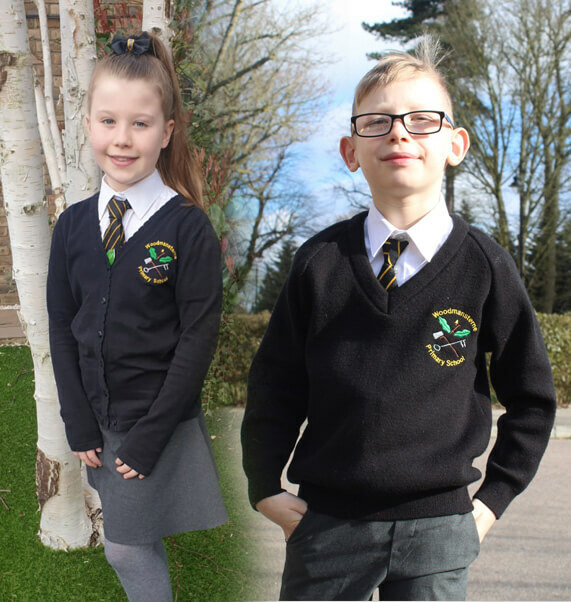 Order Your Woodmansterne School Uniform Here. Woodmansterne Primary School would like to thank you once again for the interest you have shown in their wonderful, creative school. We are very proud of our school and its values. At Woodmansterne we see our role as facilitators ‘Growing Learners for Life’. We nurture and equip our pupils with the skills and attitude to continue learning throughout life; developing them, in partnership with families and the community, into resilient, considerate and respectful citizens. We aim to achieve this through a broad, rich, creative curriculum with high expectations of progress and achievement that enables all our children to aim high, take risks and fulfil their potential. The Governors very much appreciate parents’ support in ensuring that the children attend school smartly dressed and in the correct uniform. We regard this as a very important factor in the success of the school. Our school uniform is designed to be simple, practical and economical.